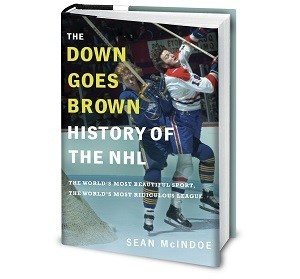 Down Goes Brown: What's next for the World Cup's round robin losers? What's next for the World Cup's round robin losers? We're down to four in the World Cup of Hockey. After yesterday's action, the round-robin portion of the proceedings is officially in the books and half of the tournament's teams have been sent to the sidelines. The semifinals take place over the weekend, with Russia facing Canada on Saturday night and Sweden up against Team Europe on Sunday afternoon. We'll have a full wrapup on Monday, which will give us a chance to break down those four teams, how they got there, and preview the best-of-three final. So today, let's focus on the four who didn't make it that far. Here's a look at each of the teams that were knocked out in the round robin, and where they go from here. We may as well start with the team that has everyone talking. Well, "talking" may not be the right word. "Criticizing?" "Brutalizing"? "Ruthlessly burying on Twitter?" Take your pick. And just about all of it is deserved, because Team USA stands as easily the tournament's biggest disappointment. They weren't necessarily expected to win it all, but they did seem to have a clear path to the playoff round at a minimum (one made all the more easy by a format that just happened to leave them and Canada in a group with two of the tournament's weakest teams). At the very least, you figured they'd work in a win somewhere. Instead, they immediately burned through any margin for error by dropping a stunner to Team Europe in the opener. In the process, they turned their matchup with Canada into a literal must-win, one they had to have to stay in the playoff hunt. In theory, that should have been fine. This is a team, after all, that made it very clear that they'd designed the roster specifically to beat their northern neighbors. They loaded up on heart and grit, with a healthy dose of agitators to pester Canada's stars. They even brought along Brandon Dubinsky, whose main claim to fame has been suckering Sidney Crosby. And the roster featured so much leadership that they felt the usual captain and two alternates couldn't hope to contain it. And overseeing it all was John Tortorella, a choice for coach who made it clear that this was going to be a sandpaper squad. When he's not barking at the media or trying to fight the other team, Tortorella is known for demanding a hard-nosed style with plenty of blocked shots and bloodied noses. Sure, he was chosen as coach at least partially because he wasn't working in the NHL, then almost immediately took the Columbus job. No matter. Tortorella's hiring left no doubt about what this team wanted to be. And for a brief moment, it looked like it all might just work. Team USA earned a win in its first exhibition game against Canada, taking a 4-2 decision in a game that featured plenty of scrums and at least one cheap shot. Canada won the rematch one night later, but the message had been delivered. The players bought in, promising that they would beat Canada just as long as the contest was decided by grit. All of which made it all the more depressing to watch Tuesday's showdown, in which the Canadians largely toyed with their rivals on the way to a 4-2 win that eliminated Team USA from playoff contention. Dubinsky didn't even play, despite facing the one player he was brought aboard to neutralize. And maybe that was just as well, since it was almost embarrassing to watch guys like Justin Abdelkader being completely ignored while trying desperately to get under the skin of somebody, anybody, in red and white. By the end, the whole thing just felt kind of sad. As Joe Thornton later pointed out, Canada had plenty of toughness of its own—it just happens to also double as skill. Trying to beat Canada at playing hard-nosed hockey is like challenging the whole country to a poutine-eating contest. It's not going to end well for you.